Looking for a fun family movie to see this weekend? 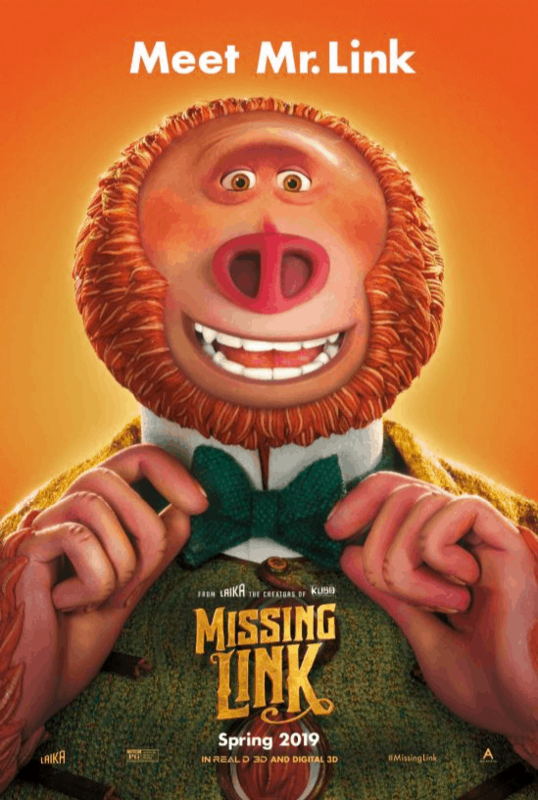 Check out Missing Link in this awesome stop animation film with a great storyline, characters and humor! Disclosure: We were invited to prescreen the movie. All opinions are my own. I have been a big fan of stop motion animation for years. When I saw that a new movie was coming out from the same people that created Boxtrolls, Coraline and ParaNorman, I was pretty excited. So without further adieu, Meet Mr. Link. Mr. Link is an adorable bigfoot who is curious, loving and speaks quite good English. The problem? He calls on an adventurer, names Sir Lionel Frost to help him with a very big problem. Through a fun series of events, Mr. Link learns more about himself, people and what he truly wants in life (and so do the others around him). Oh and Mr. Link is definitely NOT like that “other bigfoot” movie that came out recently. Sometimes it is SO hard to write the post movie write ups without giving away the entire movie. Missing Link is one of those movies that I truly am having a hard time just telling you everything about it. I really just adored the movie and so did my family. It was funny, it was creative & the animation was spot on and the actors were top notch. Look we were laughing basically throughout the entire movie. Yes there is action and yes there are some parts that tug on your heart strings, but overall, there are some really laughable moments. I mean it is about a bigfoot dressed in human clothing taking an adventure. 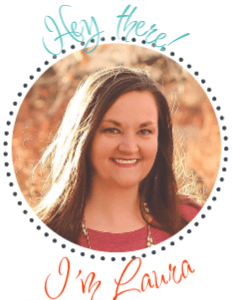 You know you are going to giggle too! I have seen nearly all of the Laika movies that feature stop animation. Each time they get better and better. Missing Link was smooth, you didn’t feel that stop animation technicality of the movie at all. It just seemed more real. I remember at one point watching Mr. Link’s fur moving and thinking how cool it looked. Just awesome. Zoey Saldana, Zach Galifianakis and Hugh Jackman. Yes, these wonderful actors bring Adalina Fortnight, Mr. Link and Sir Lionel Frost to life and honestly it was an awesome casting decision. Their combination of voices and the mannerisms of their characters really bring you into the story. I LOVED this casting! 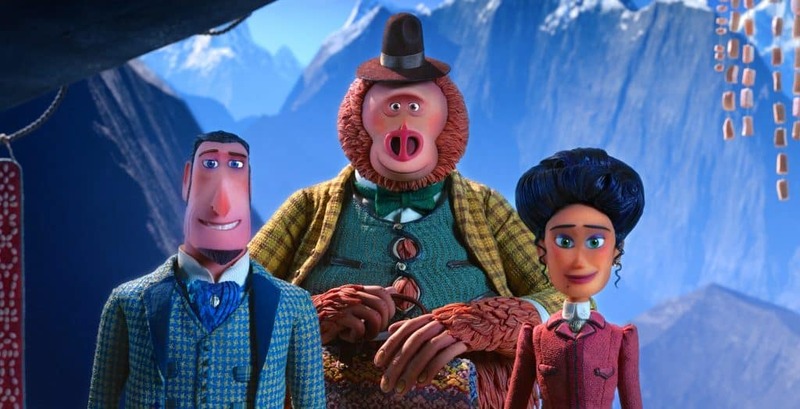 Missing Link is out in theaters now and is a great family movie. Get those tickets!